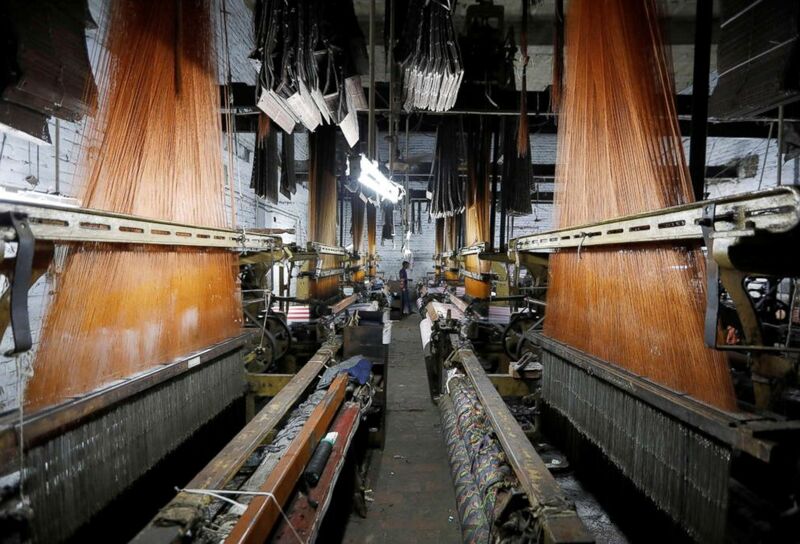 Tilak Raj Bathla's tiny weaving factory is one of the few still humming on a once busy road in the northern Indian city of Panipat, known as the country's "textile city." Nearby, more than two dozen other workshops are locked from the outside, while dogs and cows roam through other abandoned factories. Scrap dealers enquire about idle powerlooms. (Adnan Abidi/Reuters) This aerial view shows an industrial area in Panipat, India, Aug. 29, 2018. India launched the Goods and Services Tax (GST) just over a year ago, its biggest-ever tax reform, aiming to replace more than a dozen federal and state levies and unify the sprawling economy. The move improved economic efficiency but critics say the complexities of the new regime have driven many small enterprises out of business and forced hundreds of thousands out of jobs. For Prime Minister Narendra Modi, the drawbacks of the GST, especially the job losses, could prove costly in major state elections later this year and a general election in mid-2019. 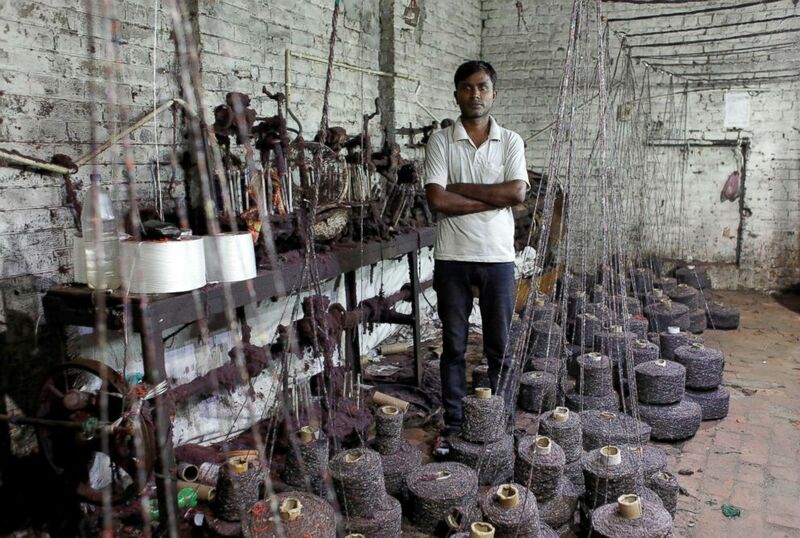 (Adnan Abidi/Reuters) Ram Pratap, who lost his job as a powerloom operator earlier this year, poses for a picture inside a weaving factory where he used to work, in Panipat, India, Aug. 24, 2018. Bathla says his neighbors, most of them unschooled, could not comply with monthly online filings required under the GST regime. Some of his customers and suppliers could not afford to hire accountants to navigate a system which has been amended more than 200 times already, while others struggled to cope with delays in tax returns caused by glitches in the centralized software. "I have a GST registration, but I can't work as my vendors and buyers are unable to comply with a complex tax structure," the 50-year-old said, adding his monthly sales had fallen to about 250,000 rupees ($3,511) from about 1 million rupees before the GST. Only 2 of his 10 powerlooms are currently being used. The government has said it is simplifying the tax measure to make it accessible to everyone. Finance Ministry spokesman D.S. Malik said requests from small businesses have been considered "from time to time." But he declined to comment on job losses. 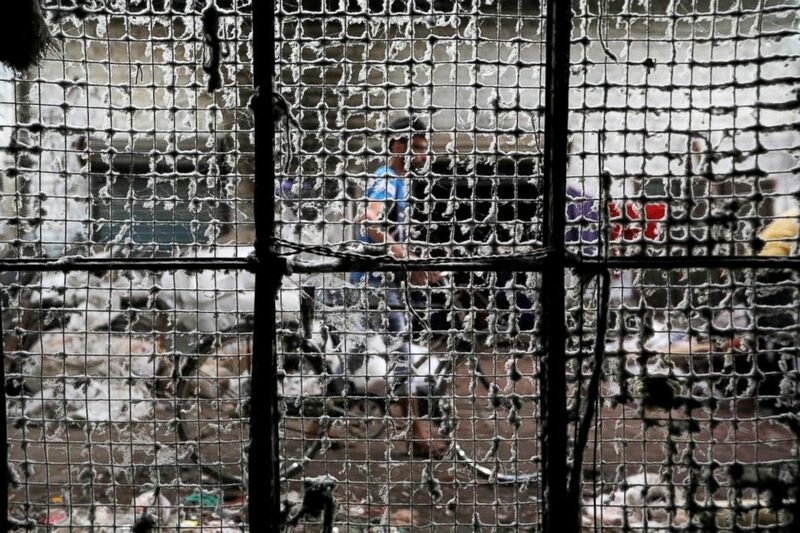 (Adnan Abidi/Reuters) A man is seen behind a dust-covered window of a weaving factory, that was shut a year ago, in Panipat, India, August 29, 2018. Nevertheless, India's economy gathered pace in the April-June quarter, expanding 8.2 percent compared to 5.6 percent in the same period a year earlier. Economists said the number was coming off a low base as companies held off production in the year-ago period ahead of the implementation of the tax measure in July last year. But while big firms have since shaken off the effects of the change and are set to gain from a uniform tax regime, small businesses across the country are still hurting. A survey by the All India Trade Union Congress (AITUC) in July found that a fifth of India's 63 million small businesses – contributing 32 percent to the economy and employing 111 million people - faced a 20 percent fall in profits since the GST rollout, and had to sack hundreds of thousands of workers. 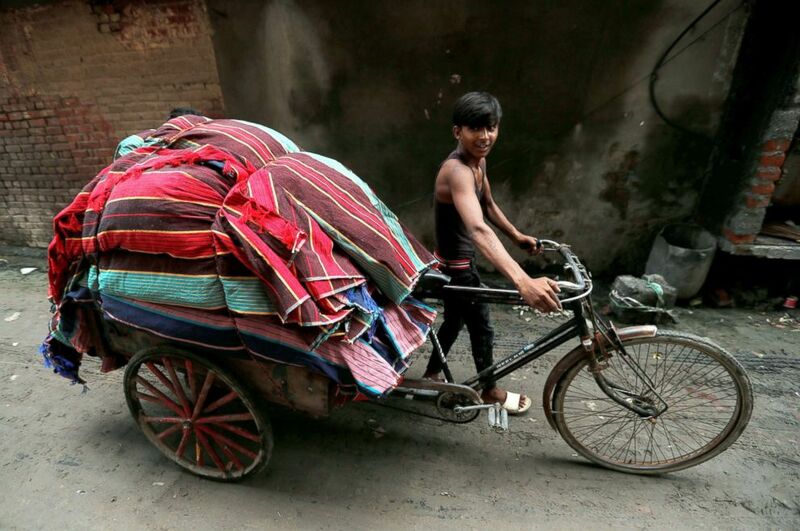 (Adnan Abidi/Reuters) A man carries rugs on a rickshaw in an industrial area in Panipat, India, Aug. 24, 2018. Readymade garments, gems and jewellery, leather, handicraft and basic machinery manufacturing are hit the most, industry bodies from across the country say. According to estimates by the Centre for Monitoring Indian Economy, a Mumbai-based consultancy, nearly 5 million workers lost their jobs over the past year. 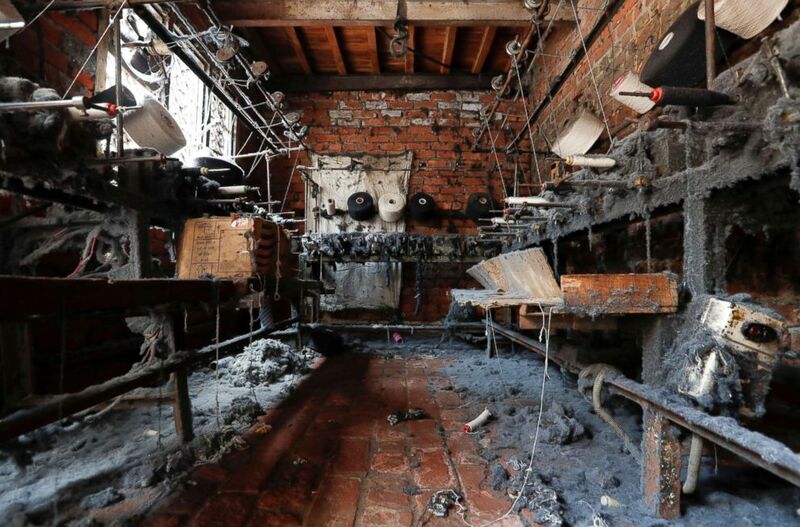 But it was not clear how many were from small enterprises. India's unemployment rate rose to 6.4 percent in August from 4.1 percent in July last year despite an additional 17 million people joining the workforce. But it did not give data on how many people were laid off or from which industries. India's labour ministry releases jobs data once every five years, last reporting unemployment at 5 percent in 2015/16 (April-March). 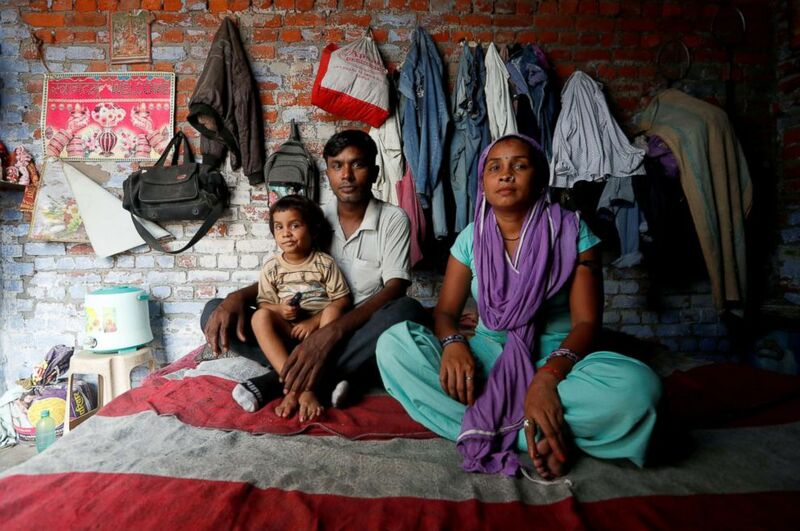 (Adnan Abidi/Reuters) Ram Pratap who lost his job as a powerloom operator earlier this year, poses for a portrait with his wife and daughter inside his house in Panipat, India, Aug. 24, 2018. After losing his job as an operator, Pratap started working as a clerk and a caretaker at another weaving factory. 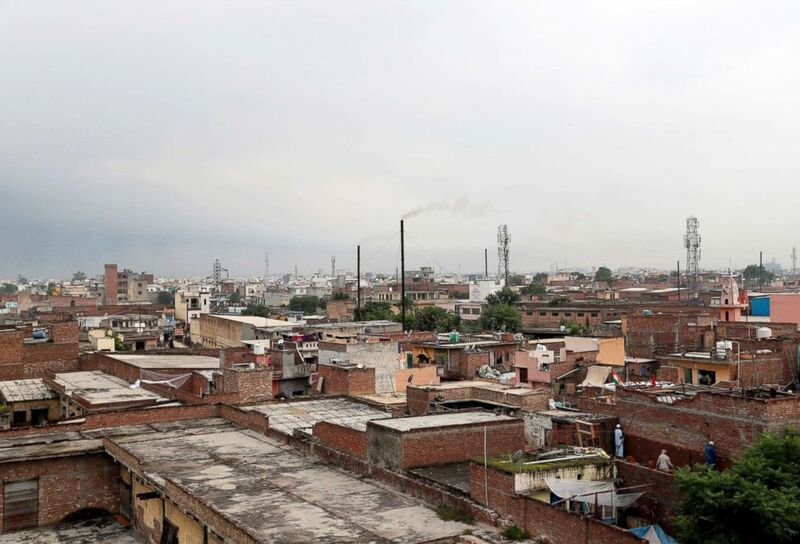 More than 50 workers and factory owners Reuters spoke with in Panipat, about 90 km (55 miles) north of New Delhi, said over a third of the city's 10,000 weaving units had closed or curbed production. Chand Multani, president of the Panipat Handloom Owners' Association, pointed to the tax headaches behind a bedsheet that costs barely $2 as an example. The weaving of the sheet, its dyeing, ironing, embroidering and packaging are all done by separate businesses. Under the new system, each business has to pay GST at each stage of production which the businesses can claim back provided they have registered with tax authorities and have a GST number. For a lot of small businessmen this is way too much work. "How can all these different operations comply with tax rules?" asked Multani, waving the sheet in the air. (Adnan Abidi/Reuters) A labourer works on a powerloom machine inside a weaving factory in Panipat, India, Aug. 29, 2018. The GST replaced several federal and local taxes and tore down tariff barriers between India's 29 states, but critics say that has been to the benefit mainly of large, nationwide businesses. For Panasonic Appliances, India's leading electric goods maker, GST has meant cutting costs by 4 to 5 percentage points, for example. India's consumer goods stock index has risen 26 percent in the past year, outpacing the broader Mumbai market. "GST ... has improved the competitiveness of the manufacturing sector," Panasonic India CEO Manish Sharma said. Modi, in an Independence Day speech on Aug 15, said the businesses that faced "teething difficulties in adopting GST had accepted the challenge and the country is now moving ahead." (Adnan Abidi/Reuters) Dust-covered winding machines are seen inside a weaving factory, which was shut earlier this year, in Panipat, India, Aug. 24, 2018. But Rahul Gandhi, his main challenger in next year's election, has zeroed in on the job losses and shuttered businesses. "This GST is a way of removing money from the pockets of the poor," he said last month. "This is not GST, this is Gabbar Singh Tax," he said, referring to the villain in one of Indian cinema's most popular movies. Modi's popularity fell below 50 percent in July from 53 percent in January, while Gandhi's rose to 27 percent, up from 22 percent, according to a survey by India Today magazine. Eighteen months ago, the score was 65 percent to 10. To address grievances, the GST Council, which administers the tax measure, has approved more than 200 amendments since the law came into force. 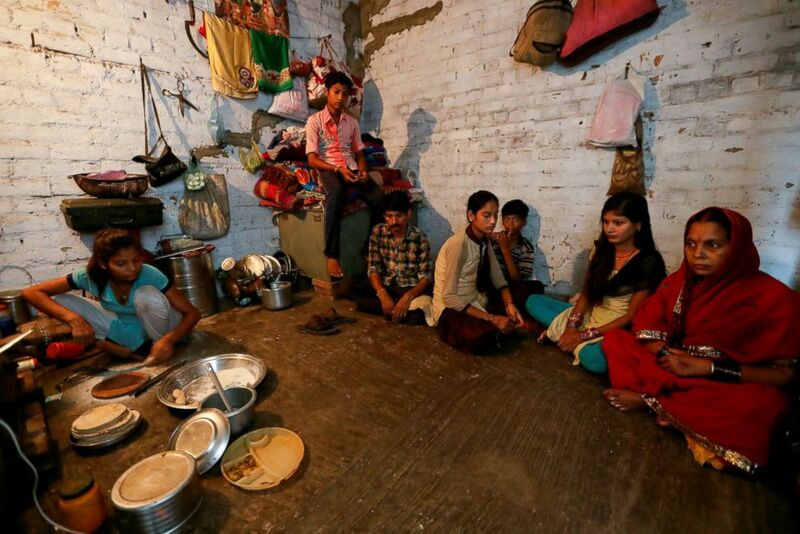 (Adnan Abidi/Reuters) Dilip Soni, third from left, who lost his job as a power loom operator earlier this year and now works as a packaging labour, sits with his family as they wait to have their lunch in Panipat, India, Aug. 29, 2018. Soni said he was earning around $300 in his previous job and now gets around $120. "Now my wife also started working to support the family and my two daughters have left their studies and take care of the home. I don't have sufficient money for their school," Soni said. M.S. Mani, senior partner at Deloitte, said too many changes to rules and rates were damaging, particularly for small businesses. The Federation of Indian Export Organisations estimates that nearly $2 billion of tax credits, mainly of small exporters, were yet to be refunded, mainly because of software glitches in the system and the difficulties in matching the hundreds of thousands of invoices. 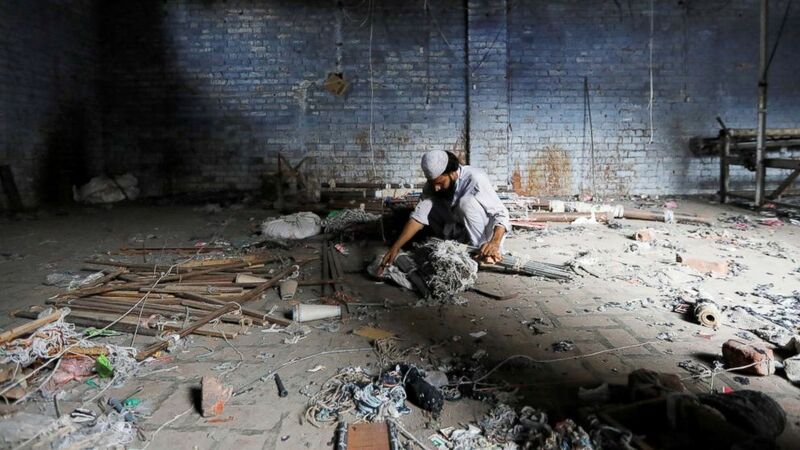 (Adnan Abidi/Reuters) A scrap dealer searches for useful material at a weaving factory, that was shut a year ago, in Panipat, India, Aug. 29, 2018. About 230,000 small businesses have closed down due to compliance and cash flow problems, leading to large-scale job losses, said Amarjit Kaur, national secretary of the All India Trade Union Congress. "GST has proved a death warrant for us," Ravinder Kashyap, 22, who lost his job as a powerloom operator earlier this year, said in a small rented room in Panipat that he shares with four friends. He said his employer had lost sales orders because of the mess caused by the tax and so had let him off along with scores of others. "If this carries on for one or two years, we'll have to commit suicide." 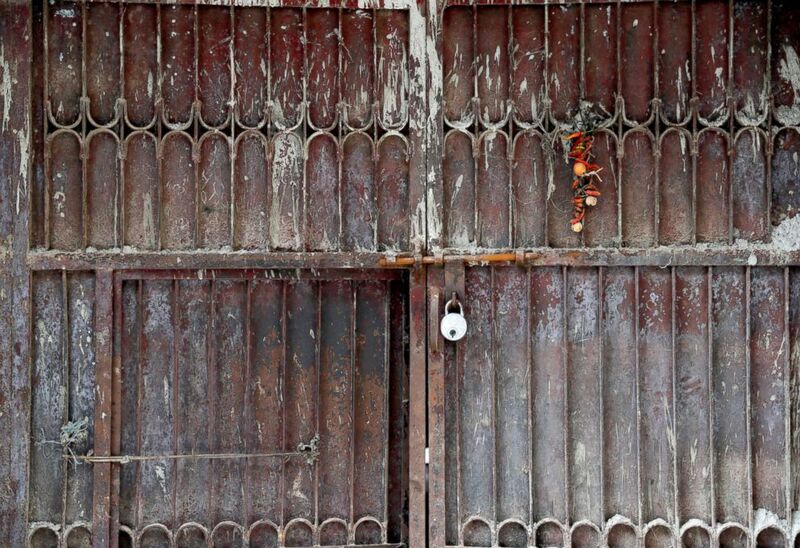 (Adnan Abidi/Reuters) A locked gate of a weaving factory, that was shut a year ago, is seen in Panipat, India, Aug. 29, 2018.